SV - Added Bed Extender, Midnight Edition which Includes, Upgraded Exclusive Midnight Edition Black 20 Alloy Wheels, Black Trimmed Headlights, Fog Lights, Body Color Front Bumper, Body Color Rear Bumper, Body Color Front Grille, Charcoal Interior Trim, Black Door Handles, Power Heated Black Manually Extendable Tow Mirrors with Turn Signal Indicators, Black Exterior Accents, Black Midnight Edition Badging, Black Step Rails. Convenience Package which Includes, AM/FM/CD Audio System with 7.0 Color Display, Nissan Navigation, System with 7 Color Touch Screen Monitor, Front Captain's Chairs with Center Console, All Season Tires, Nissan Connect Mobile Apps, 8-Way Power Adjustable Driver's Seat, Nissan Voice Recognition for Audio and Navigation, Driver-Side Power Lumbar Support, SiriusXM Traffic and Travel Link, Heated Front Seats, Siri Eyes Free, Blind Spot Warning, Rear Cross Traffic Alert, Automatic On/Off Headlights, Rear Air Conditioning Vents, Body Color Rear Bumper, Dual Zone Automatic Temperature Control, Nissan Intelligent Key with Door Handle Request Switch and Push Button Ignition, Leather Wrapped Steering Wheel, Chrome Interior Door Locks, Rain Sensing Wipers, Auto Dimming Rear View Mirror, Homelink Universal Transceiver, Center Console Mounted 12-Volt DC Power Outlet, Center Console Mounted 120-Volt AC Power Outlet, Running Boards, Power Sliding Back Window with Defroster. Safety Features, 4 Wheel Disc Brakes, ABS Brakes, Body Color Front and Rear Bumpers, Dual Front Impact Airbags, Dual Front Side Impact Airbags, Electronic Tailgate Lock, Front and Rear Anti Roll Bar, Front Wheel Independent Suspension, Intelligent Key System, Low tire Pressure Warning, Overhead Airbag, Painted Rear Bumper. We are Orange County's Fastest Growing Nissan Dealership. We make purchasing a vehicle easy and hassle free! Leave happy or your money back!!! 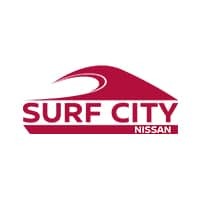 Price includes: $4,000 - Nissan Customer Cash - National All Pricing and Advertised Price for any vehicle does not include dealer installed accessories which can be purchased for an additional cost.